Law Enforcement Outposts, or LEOs for short, are permanent facilities scattered around the far reaches of inhabited space. 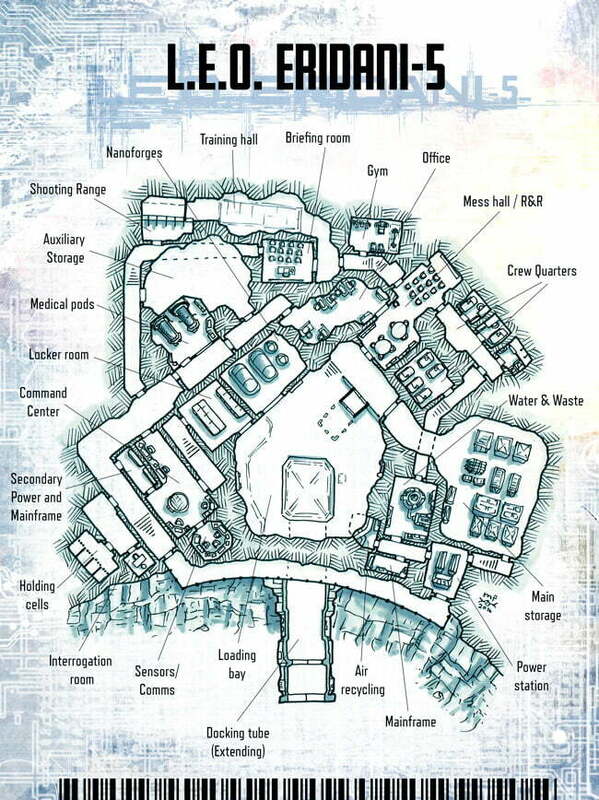 These facilities function as local bases for the law enforcers assigned to patrol the area and keep pirate activity, or any other criminal activities, at bay. Law Enforcement Outpost are not responsible for the safety of the local colonies or other such settlements. Those are typically handled by private security companies or local contractors. Instead LEOs function as temporary holding facilities for apprehended suspects, resupply stations for patrol crafts and local bases for the system patrols. They also monitor the traffic and answer to distress signals in the area.